Sav yn-bann ‘Stand up’ is an anthem written for the Cornish language. It has now been arranged for choirs to sing it. 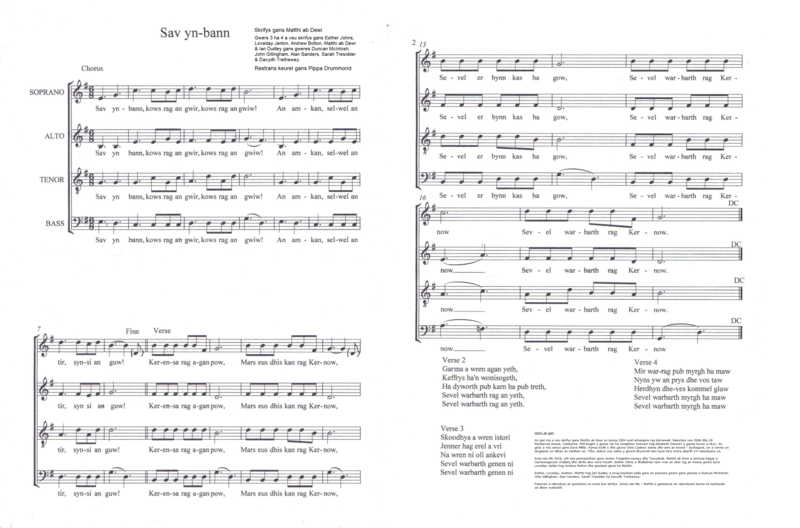 Below is the sheet music, the audio tutorial for pronunciation and also the guitar chords with lyrics.